Webinar marketing is the effective use of an online seminar to help promote your business, products or services. The term “webinar” is a combination of web + [sem]inar. Traditionally, webinars consist of a host, a subject-matter expert, and a digital presentation that is followed by a live Q&A session. Using a webinar to promote a business does not necessarily mean that the content is directly about the business, its products or services. While some companies do use product-specific webinars in their programs, most webinar programs focus on addressing audience pain points and educating them on how they can resolve it. All-in-all, webinars are an efficient and cost-effective way to communicate with a highly targeted audience. They provide the opportunity to create numerous digital marketing touchpoints to generate interest and quality leads. 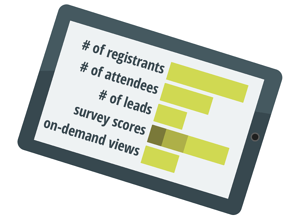 B2B marketers say webinars generate 50% of their leads, according to DemandWave. The only other content that performs higher is white papers at 53%. And, according to Insidesales.com, 73% of B2B marketing and sales leaders say webinars are one of the best ways to generate quality leads because they are highly engaging, work across the entire customer journey, and allow the collection of personalized lead data. Producing and marketing a successful webinar can be a tricky proposition. There are many factors beyond the basics of developing content, identifying the technology needed, and planning your digital marketing campaign. It can be tough to know how to get started and what steps are necessary for success. Give yourself plenty of time — establish a 6–8 week schedule that includes pre- and post-webinar campaign efforts. This will help ensure you have sufficient time to consider the factors below for your webinar program. Let’s face it. If this is your first time hosting a webinar, you’re probably going to need a little help. Be sure to assemble a team of experienced marketing professionals around you to ensure that the process runs smoothly and your content is substantial and compelling. Consider strengthening your in-house team by adding a dedicated project manager, a technical producer, an engaging moderator, a social media lead, or other critical role you might be missing. Or you could outsource it all through a webinar marketing service provider to decrease costs and save time. Webinar marketing consultants are one of the best ways to quickly execute and add on-trend skill sets and expertise to your team — enabling you to focus on strategy and planning. When it comes to your webinar audience it’s all about quality over quantity. You must clearly define your audience personas and email lists to effectively target your messaging and tactics. This is especially critical if you are doing account-based marketing (ABM). Use your buyer personas to plan the appropriate type of webinar sessions in terms of topic, length, depth of information, format, and other factors. For example, while most senior and C-level executives don’t have a full 60 minutes to give to a webinar, they will spend 15–30 minutes with you if you target them correctly and effectively address the issues they care about. How will you know your webinar campaign was successful without data? Figure out what your final reporting needs will be, so you can develop ways of collecting those metrics. Determine your tracking link tactics for all your promotional marketing vehicles and channels to determine what’s driving webinar registration and attendance results. 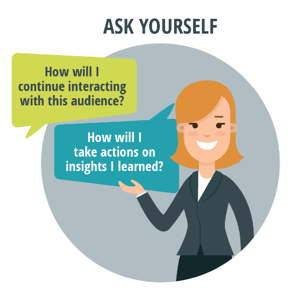 Qualify your leads by asking targeted questions on your webinar registration page that enable you to route to Sales and segment your data for better insights. It’s never too early to start promoting your digital event. 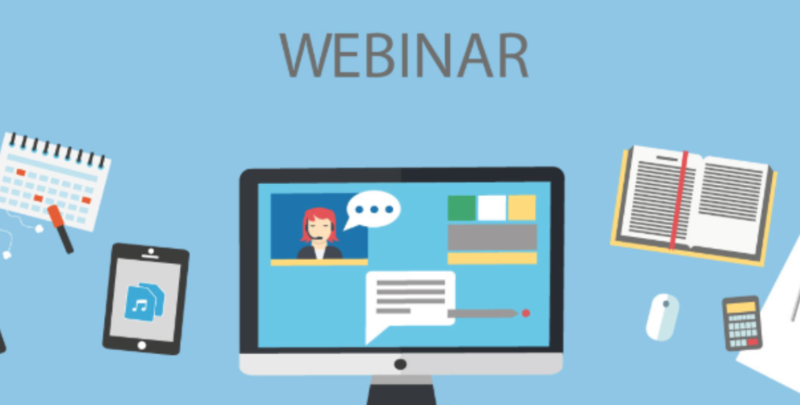 Establish your internal and external webinar promotional plan and be sure to extend investments by cross-promoting your programs. Promote your events internally to allow Sales and other business units to amplify your message and help drive webinar registration. Timing is everything, so understanding and tracking your lead time for each channel will be critical. Promote your webinar session for at least three weeks prior to help generate sufficient registrations. One of the great benefits of live webinars is being able to record it for on-demand playback. In fact, according On24’s Webinar Benchmarks Report, “On-demand viewing is an increasingly popular choice among attendees, with 35% of all webinar views coming from on-demand only audiences." "35% of all webinar views coming from on-demand only audiences." With the convenience of on-demand viewing (especially for mobile users), it’s just as important to establish a post-event plan so you’ll know exactly how to use the webinar recording, extend content life, and increase your ROI. You worked hard to create all that content, so don’t forget to reuse it. The potential for content reuse is vast. The important thing is to leverage the work you’ve done to further your investment, reach more people, and attract higher quality leads. Engage your Sales team early in the process and walk them through all the promotional opportunities and touchpoints that are planned. This is an important step that many marketers gloss over. You can never reach out too soon and partnering with Sales will definitely get you better results. Create email templates, call scripts, and social messaging for pre- and post- campaign efforts to give Sales a reason to reach out and help drive registrations. And don’t forget to invite your salespeople to the actual live event so they can hear and address key customers’ needs immediately. If they don’t join, be sure to share the Q&A with them post-event so they can still learn what prospects care about. Ensure you have an experienced moderator and an engaging speaker — both should have pleasing voices. If you don't have an official moderator, the webinar producer can usually fill this role. It is most important that the speaker for your webinar be a subject-matter expert on the webinar topic, capable of answering tough questions on the fly. Webinars don’t have to consist only of static slides. Nothing is more boring than a presenter that reads bullet lines off a slide deck verbatim without adding any flavor. Don't for get to mix it up. The best webinars use many of these tactics throughout the webinar, multiple times. Try opening with a poll to get information about your audience that will allow you to tailor your message. Or you might want to close with a poll to help you assess the effectiveness of the content you just delivered. Embed videos or interactive media throughout your presentation, or use it just once for major impact. The choices are endless. Just don’t make it boring. It’s essential that you conduct a full webinar technical rehearsal several days before your digital event to ensure everyone is prepared and that your webinar platform and all of your equipment are running smoothly. These webinar dry runs expose details often forgotten in the big picture, like do we have enough power cords and can you hear me on this mic? If you are unfamiliar with your studio space or surroundings, be especially aware of potential distractors that might happen during the live event — sirens, barking dogs, co-workers, etc. This is an opportune time to make sure everyone knows what they’re doing and to be prepared if anything should go awry — as they surely often do. Practice the script! Even with a knowledgeable presenter, well-written script, and an experienced host, practice will be needed to ensure the best possible outcome. Practice timing along with the slide deck, this will help avoid repetition and highlight any content or story holes that you need to address. It’s also a great time to get feedback from others. For example, you may find yourself preparing for a new list of questions based on feedback from the team. There are two very important questions you need to answer after you have delivered your webinar campaign. continue interacting with this audience? take action on insights I learned? Consider creating high-quality visual reports designed for the needs of each of your stakeholders. Quickly providing reports to the right stakeholders ensures that your team can assess its marketing investment, follow up on key opportunities to increase lead conversion, and course-correct where needed. While many platforms provide visual reports, you can also create dashboards using other Tableau-like tools. And by tracking results quarter-over-quarter and year-over-year, you’ll get great insights into your program beyond just the individual webinars. Well, there you have it — 10 steps to creating a successful webinar marketing program. It may seem a little daunting at first, but don’t let that scare you — you’re up for the challenge! Knowing the process and the steps involved is half the battle. Check out 3 Pitfalls to Avoid When Producing a Webinar to make sure you know what NOT to do. Need help building your webinar dream team? Fortunately, you don’t have to go it alone. You have several options. Whether you need a single webinar consultant, a fully managed outsourced team of consultants, or recruitment services to hire marketers directly, Crawford Group can help. We offer a full range of webinar management services designed to help marketers just like you. 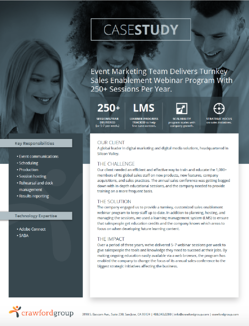 Learn how we helped a large enterprise client outsource their webinar marketing program. Delivered 5-7 webinar sessions a week or 250+ sessions a year. 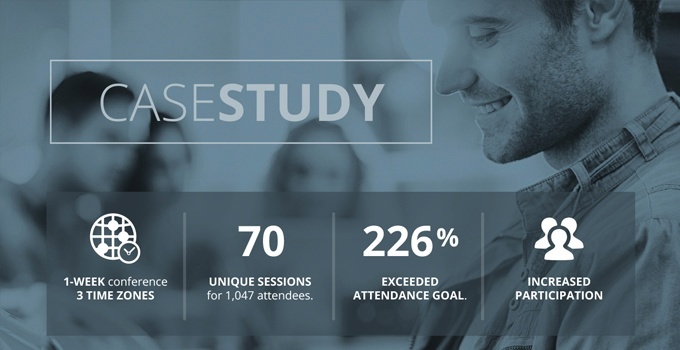 Learner progress tracked via LMS to help fine-tune content strategy. 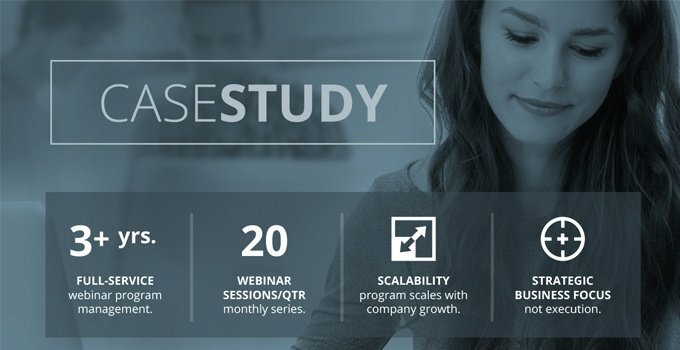 Program scaled to accommodate company growth. Annual sales conference evolved to become the biggest strategic initiative affecting the business. Event Marketing Team Provides Full-service Production and Management of Online Partner Program. Event Marketing Team Delivers 1-Week, 70-Session Virtual Conference Across 3 Time Zones For Digital Marketing/Media Leader. 3 Pitfalls to Avoid When Producing a Webinar.